Is Performance Team heading to a city near you? We are excited to share our upcoming conference travel schedule. 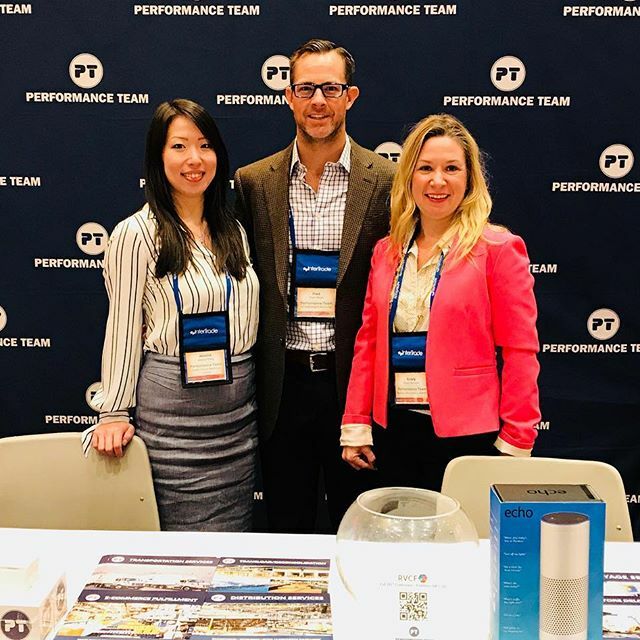 We love having the opportunity to visit new cities while connecting and learning from some of the best minds in the supply chain industry. Our first stop will be at the Retail Industry Leaders Association 2018 Retail Supply Chain Conference in Phoenix, Arizona from February 25-28, 2018. The Retail Supply Chain Conference is the only event of its kind — gathering top executives in retail supply chain to network and learn. This year, the conference theme is “Reinventing the Retail Supply Chain: Accelerating What’s Possible”. We are looking forward to exhibiting on the convention floor (located at the Phoenix Convention Center). Please stop by and visit us at Booth #661. Our next stop will be close to our corporate headquarters as we will head down to Long Beach, California for the 18th Annual TPM Conference at the Long Beach Convention Center from March 4-7, 2018. This conference is hosted by the Journal of Commerce, and will give us the opportunity to hear the latest market forecasts, analysis, expert opinions and more concerning container shipping, freight rates and labor issues. On Tuesday, March 6th, Performance Team will be sponsoring a session entitled “TPM Accelerator: The Future of Trucking and What it Means for Shippers”. Our Vice President of Strategy & Marketing, Fred Gilbert, will be introducing this session. Please stop by and listen to the session chair, William B. Cassidy, and the featured speaker, Lior Ron (Uber Freight), discuss this hot topic. Our third stop this spring will be to the Internet Retailer Conference + Exhibition (IRCE) in Chicago, Illinois from June 5th – 8th, 2018 with over 10,000 of our closest friends. The agenda for this conference is created in part with the editorial experts from Internet Retailer magazine, and as a result, all of the latest and greatest news in the e-commerce industry will be covered here. Keynote speakers include Seth Godin (NYT Best-Selling Author), Dave Gilboa (CEO of Warby Parker), Mariah Chase (CEO of Eloquii), and Alon Cohen (President of Houzz). Performance Team will also be exhibiting here at Booth #1814. Please stop by and say “Hello!”. Our bags are packed and we look forward to speaking with you regarding how Performance Team can deliver on your supply chain needs. Will we be seeing you at one of these conferences? Leave us a note in the comments section.